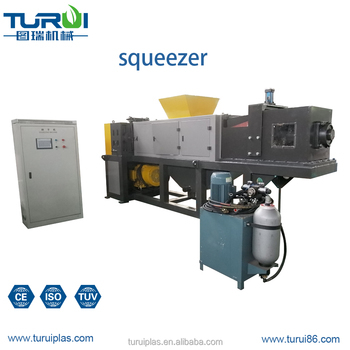 LDPE LLDPE HDPE Films,PP films,PP bags are very hard to dehydrate its water after washing.The SQ series squeezer is designed to use as dry the plastic film material by squeezing mechanically. 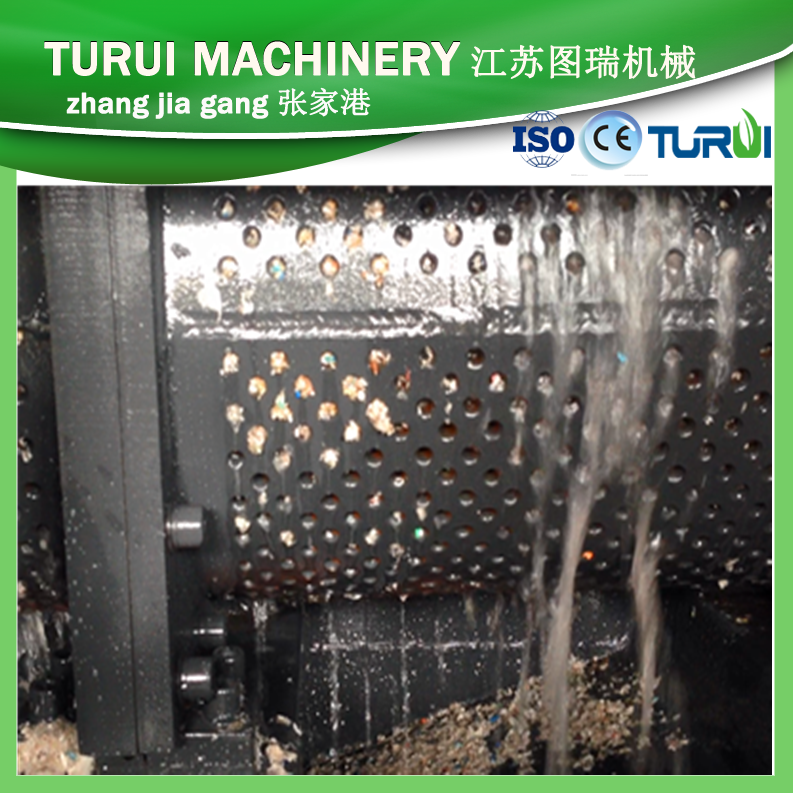 Processes 500 kg to 1500 kg per hour proportional to the system capacity.by different models. 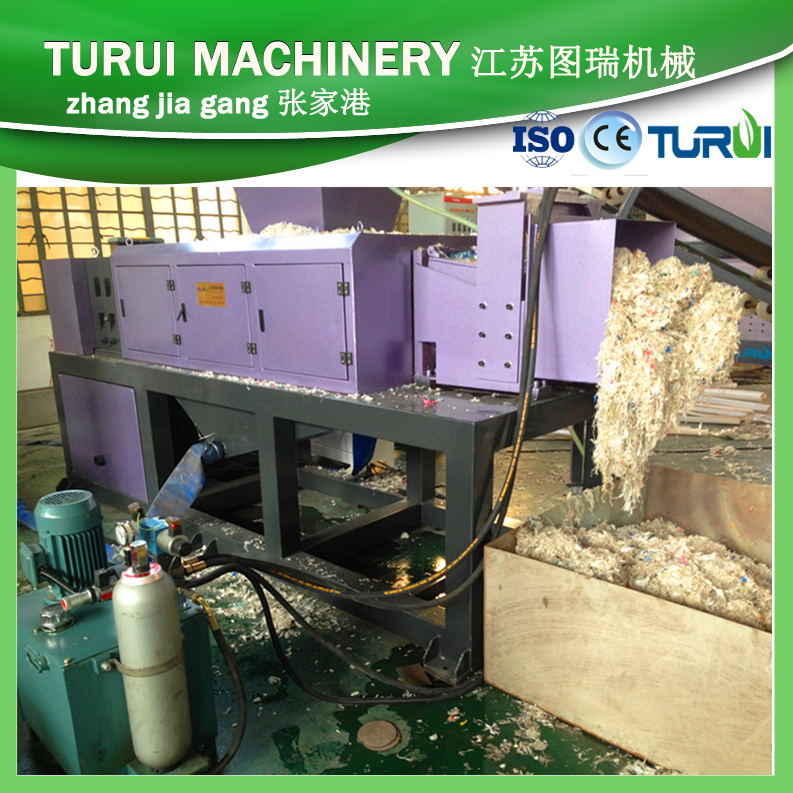 Turui Machinery specially work for independent research and development of plastic extrusion RECYCLING technology.pelletizer,washing line,recycling line,dehydrator,press dryer water dehydrator plastic films squeezer,PVC profiles,like pvc panels,pvc sidings,pvc ceilings,pvc corners,pvc doors, WPC products,like PE WOOD decking,pvc wood sidings.PVC ,PE,PPR PIPES,Corrugated pipes,plastic stone corners. 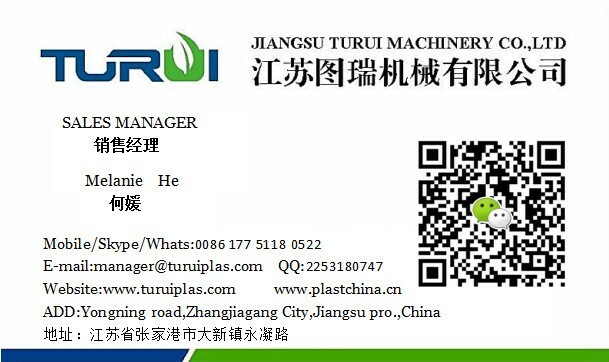 Turui Machinery is also professional in plastic recycling machines,plastic pelletizing lines,pp pe pet washing recycling lines,plastic shredder,plastic crushers,agglomerators and etc. 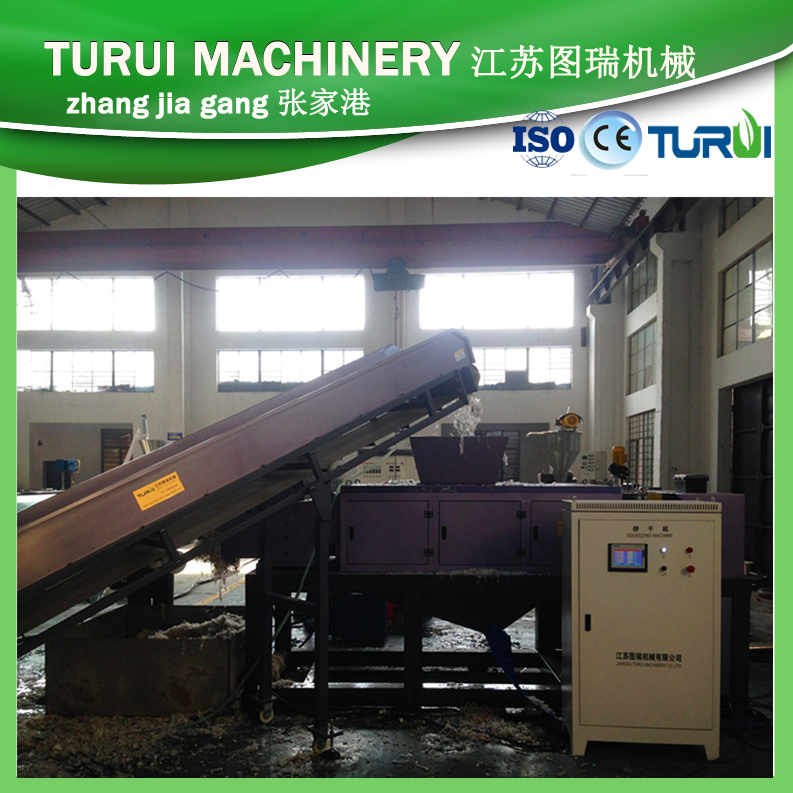 Turui pelletizer engineers will design machine according to your raw materials, give advice which plastic pelletizer is good for you. 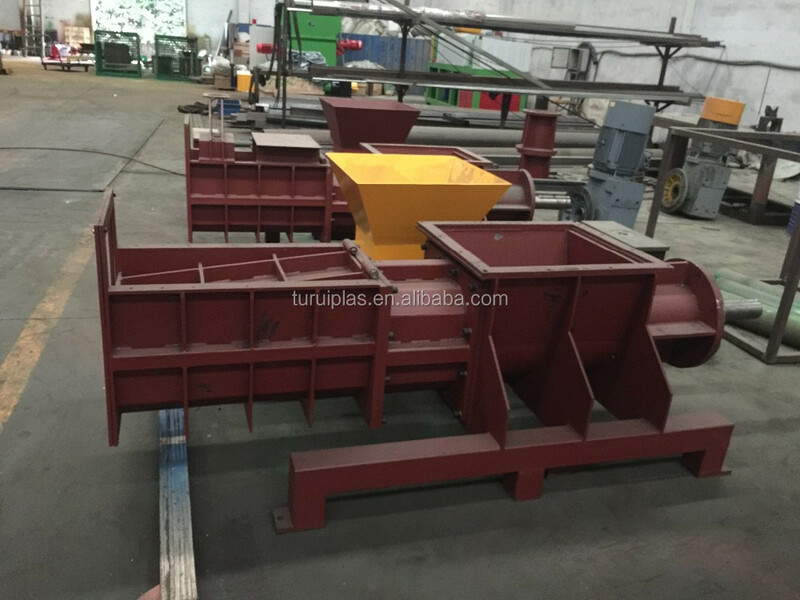 According to different raw materials characters,there are different types pelletizer for choice,such as water cooling strand pelletizer,air cooling strand pelleizer,water ring pelletizer, rub face hot cut pelletizer. 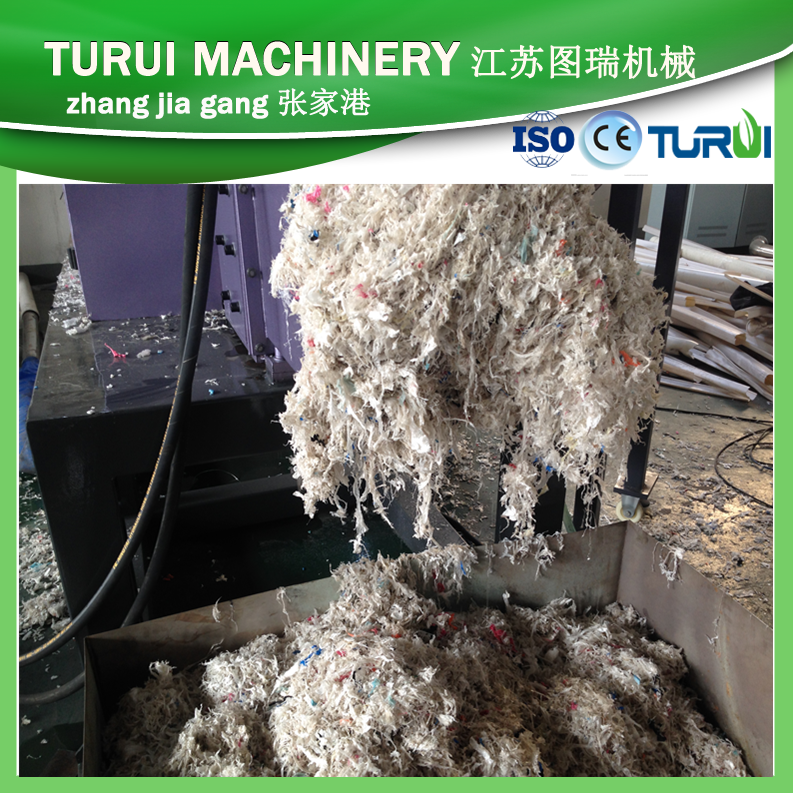 Turui is an innovation high tech company,always keep focus on plastic recycle. 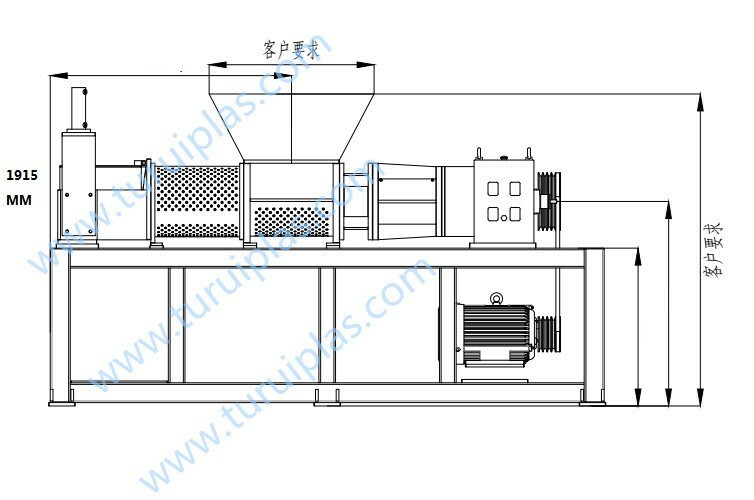 technology research,like pe pp recycling machine, ABS recycling plant,PET washing recycling line, plastic pelletizer for PE PP films,BOPP films,HDPE flakes,ABS,PA,PVC, XLPE,EPS etc. 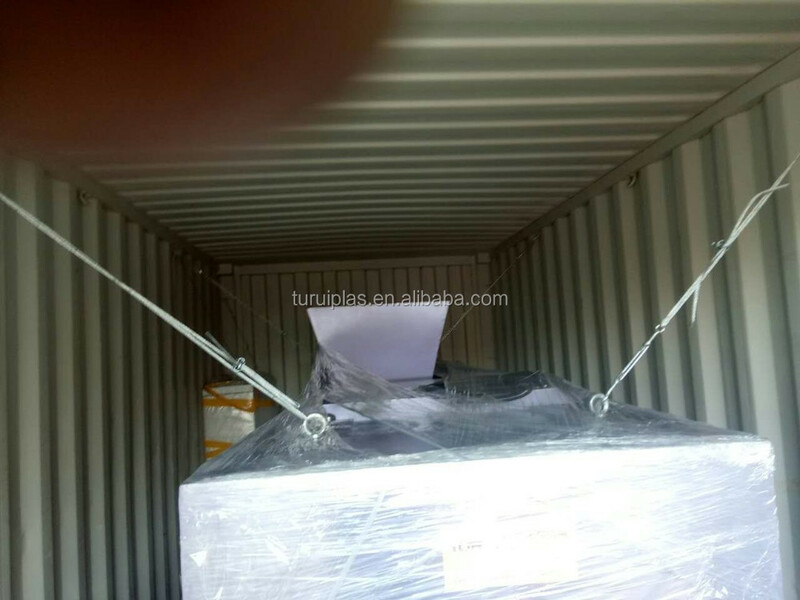 We packed and fastened the plastic films squeezers very well. 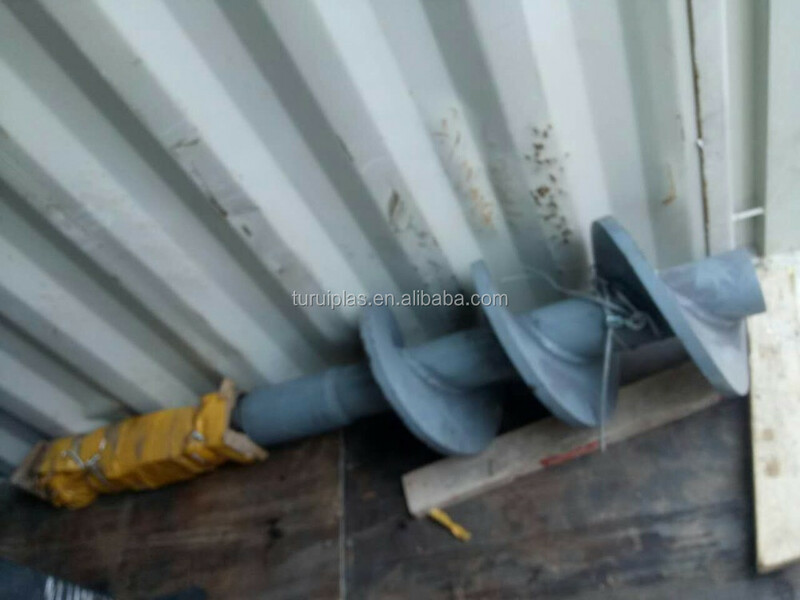 Client ordered another piece of screw for spare use. We have a lot in stocks.We are good at squeezer. We are using harden teeth gearbox. 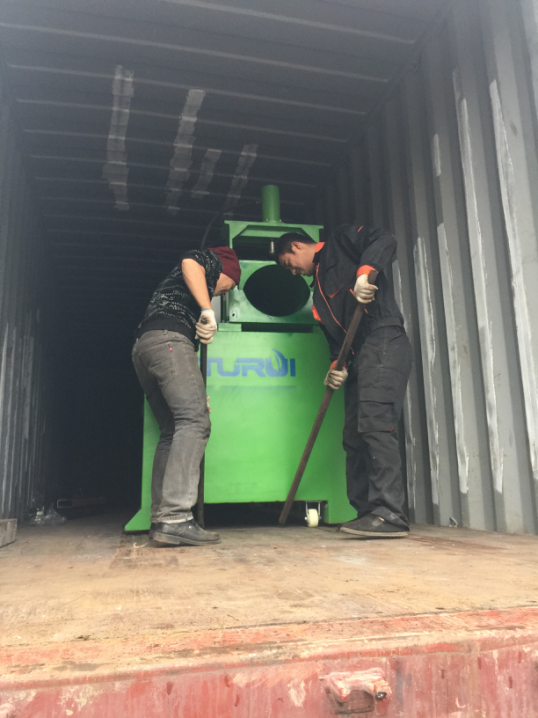 We are the orinigal manufacturer of plastic films squeezer. 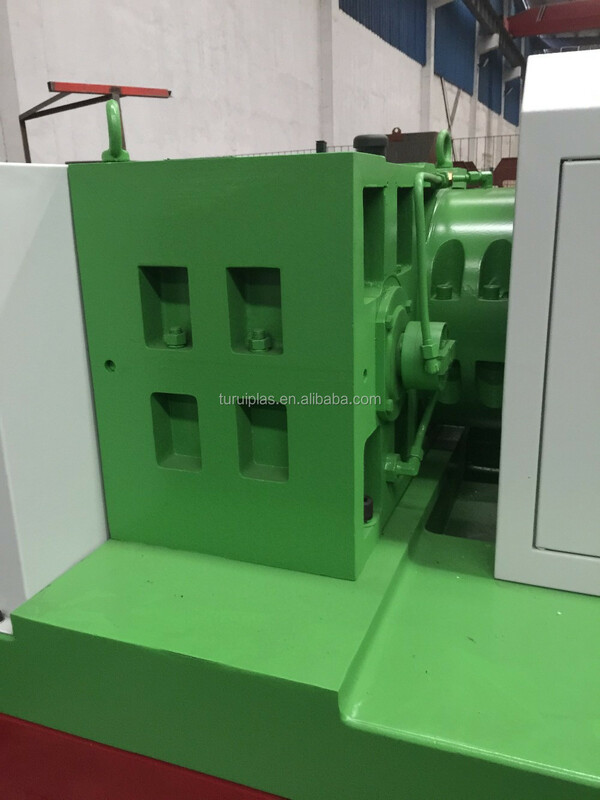 Welcome to bring your materials to us for test running. 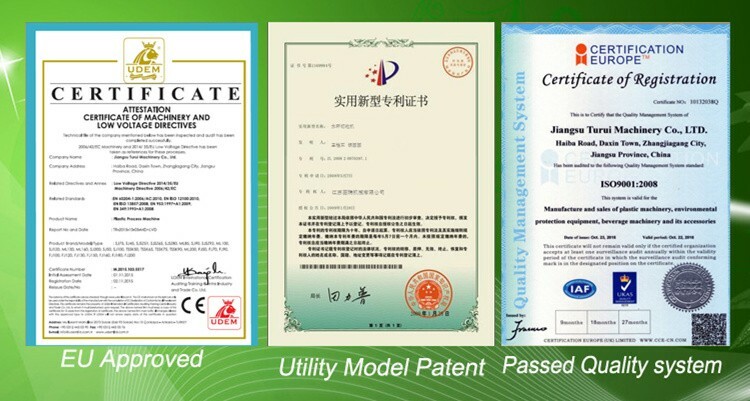 Or you can use our materials for test.We have in stock.